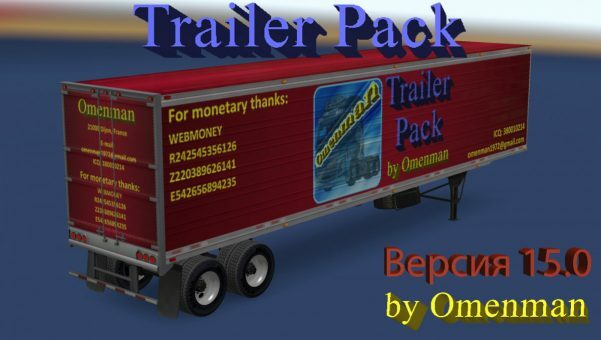 Big pack trailers with skins from Omenman. The package 70 cargo and 300 skins on 6 trailers (Box, Curtain, Reefer, Reefer3000r, Gas and Acid). 1. Updated skins of many trailers. 2. Added 2 new trailers: “Reefer3000r” и “Curtain”. Make them compatible with doubles.